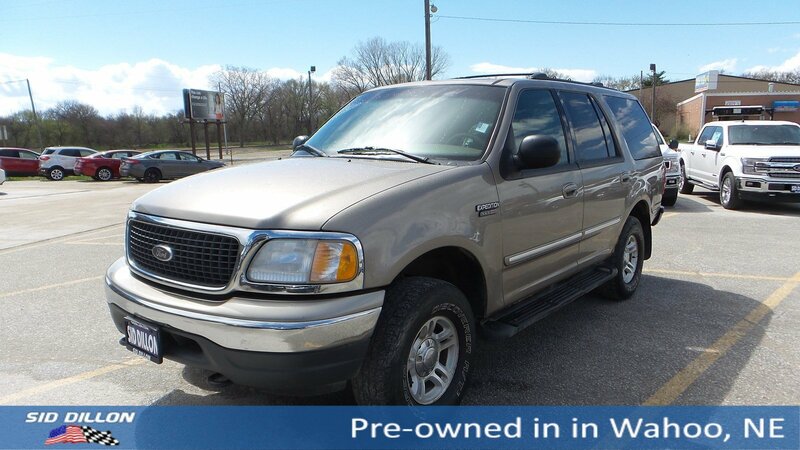 Trustworthy and worry-free, this 2001 Ford Expedition XLT makes room for the whole team. 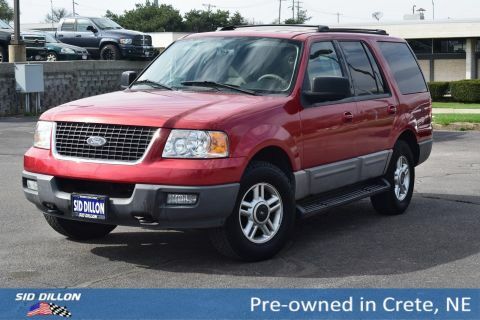 Side intrusion door beams, Front/rear outboard color-keyed lap/adjustable-height shoulder safety belts, Driver & front passenger Second Generation airbags, Child-proof rear door locks. 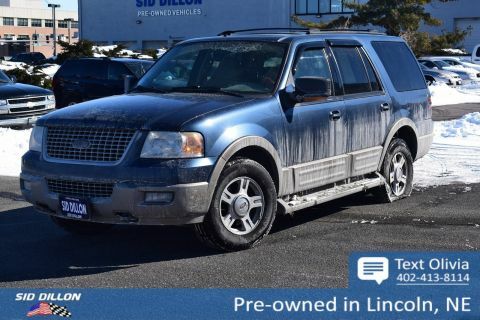 5.4L (330) SOHC SEFI V8 TRITON ENGINE, Warning lights-inc: door ajar, fasten seat belts, anti-lock brakes, cruise control, airbag, fuel reset, engine check, high beams, parking brake, low fuel/oil pressure, washer fluid, high temp, anti-theft, turn signal, Underbody-mounted full-size spare tire w/crank down feature, Tilt steering column, Speed-sensitive intermittent windshield wipers w/washer, Speed control, Side intrusion door beams. 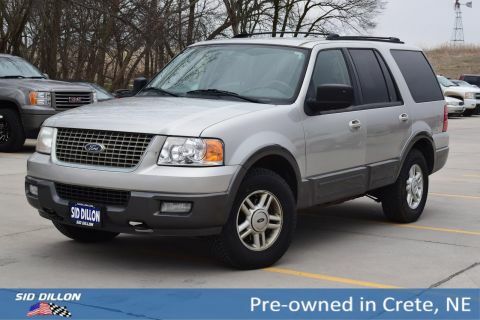 A short visit to Sid Dillon Ford Wahoo located at 257 West A St, Wahoo, NE 68066 can get you a trustworthy Expedition today!